The Multi-faceted Bornova Modern Coffee Table, with its white marble top and intersecting steel supports. The Bornova Marble Table can be used as more than just a sidekick to a sofa. This Modern Table can steal the spotlight in any home or office. 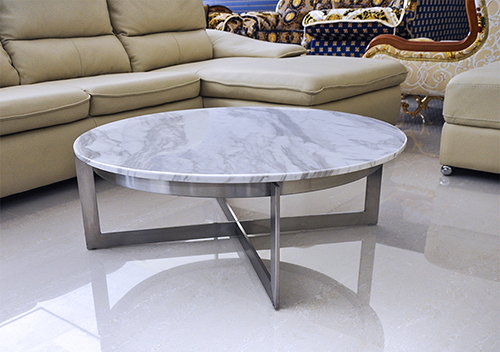 Volaskas Marble Top with Stainless Steel Base and Polished Chrome Finish.